The tragic deaths of Michael Brown in Ferguson, Missouri and Eric Garner in Staten Island, New York have sparked a national debate about the relationship of police and average citizens. 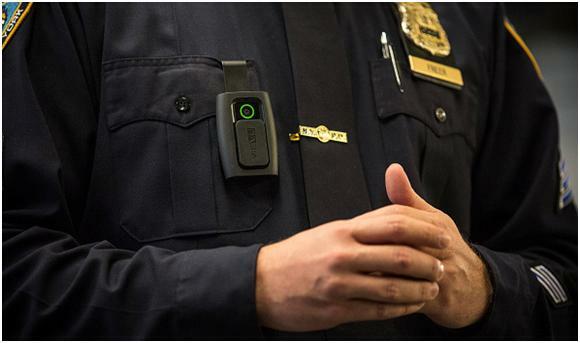 While many have argued for policy solutions centering on grand jury reform—some have argued that transparency in the form of body cameras may change or alter behavior. While there may be merit to this approach, we would argue that police cameras need much more study before a wide implementation. After reviewing the limited research on the police use of body cameras, it is clear that legitimate concerns about the implementation and method behind its use exists. Given the crisis before us regarding the perceived illegitimacy of police actions in the community, it is important that the knowledge of the systematic response (i.e., body-cameras) be premised on sound and unbiased research. The key question that needs to be answered is whether body cameras will actually work? There is a major lack of credible, unbiased, analysis of the effect of these body cameras, which is a fundamental challenge considering that President Obama and other policy makers have earmarked millions for their implementation. More importantly than the funding of these cameras, is the importance of ensuring that the implementation of these body cameras is premised on an empirically supported foundation. There have only been five examinations to date, amid the myriad theoretically based positions put forth in media outlets. Of these examinations, two were conducted on European samples, two in Arizona (Mesa and Phoenix) and one in Rialto, California. None have been examined by an unbiased academic entity or in a large American city. Regardless of the obvious limitations, police body camera research has provided findings worthy of consideration. What is the impact of police body cameras on citizen privacy rights? What training changes need to be made to transform the existing police paradigm? With cameras averaging $1,000/ea. and the inevitable costs associated with storage and management of digital film, what are the long-term fiscal implementations to body cameras? As a result of the sparse empirical examinations, coupled with the demand from the citizenry and law enforcement community, we contend that a cautionary approach needs to be taken. Agencies adopting or seeking to begin the use of police body cameras should be required to have their implementation evaluated by qualified and objective/independent academic institutions. Those departments that choose to do so should be nationally recognized as model departments. Currently, the overwhelming majority of the information on police body cameras is comprised of the untested, non-scientific positions of casual observers. In the aftermath of the tragedies that have led to this call—it is critical to make sure that the policies that we implement solve the problem. To do that will require a reasoned and measured approach. To rush into a large scale implementation would be a mistake. Authors: Dr. Michael O. Adams, professor of Political Science and Public Administration, is the interim chair of the Department of Political Science as well as the program director of the Executive Master of Public Administration (eMPA) and Master of Public Administration (MPA) programs at Texas Southern University’s Barbara Jordan-Mickey Leland School of Public Affairs. He can be reached at [email protected]. Dr. Howard Henderson is an associate professor and director of the Administration of Justice Graduate Program in the Barbara Jordan-Mickey Leland School of Affairs at Texas Southern University. Welcome to the criminal justice, law enforcement side of public administration. Surveillaince cameras have proliferated in the US, together with citizen intrusions to an extent some would never have imagined until post-911. Of course, the problem with the cameras is that “everyone” (e.g., private sector employers) uses their own as valid, and there is not an objective use of “visual data”. Already, the officers have made their point, that their responses are sometimes to specific actions taken against themselves. The proliferation of cameras on telephones makes taking a shot of a police scene very easy, and social media make sit easy to share on a wide basis. For me, it’s time to reassess the directions of American privacy rights and freedoms, as police approaches of surveillaince and actions have increased our prison population in the US to unheard of levels internationally.